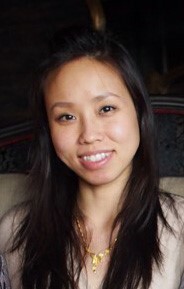 Pamela Li is a Registered Psychotherapist, an EMDR Therapist, and Professional Art Therapist with the College of Registered Psychotherapists of Ontario, and the Canadian Art Therapy Association. She specializes in working with adolescents, adults, and seniors. As a graduate from the Toronto Art Therapy Institute, Pamela has over 7 years of experience working with groups and individuals with a wide range of mental health conditions, behavioural challenges, cognitive impairments, and physical disabilities. Her areas of specialty include Alzheimer’s and other dementias, developmental disabilities, anger management, depression, anxiety, stress, grief, self-esteem, life transitions, trauma and PTSD. Pamela uses an eclectic approach in her work to meet the client’s specific goals and needs, including person-centred, solution-focused, cognitive-behavioural, mindfulness, and psychodynamic methods. Through the creative process of art therapy, EMDR therapy, and the combination of other therapeutic modalities, clients are guided and encouraged to communicate, externalize, and process their thoughts and feelings through creative, symbolic expression. Pamela’s work is based on the belief that everyone has the potential to make positive changes, and discover new possibilities at any stage of their lives. She focuses on helping her clients explore and build on their inner strengths and potential to lead an enhanced quality of life.